Thank you for helping make OA Week 2016 a Success! The Library would like to take this opportunity to thank all UON authors who participated in our OA Week promotion and to share the results of OA Week at UON. The Library’s 2016 OA Week campaign was very successful with increased UON author engagement. Du ring the promotion, a total of 153 OA publications were archived into the NOVA Open Access Repository by 67 UON authors. 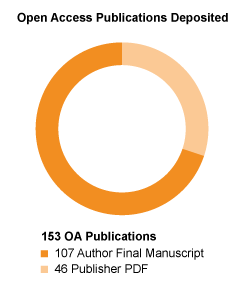 Deposited publications included 107 author manuscripts (accepted version) and 46 publisher versions. Thank you to all UON authors who participated and a special mention to Julio Braslavsky who deposited 17 publications (author final versions) to NOVA during OA Week. This was the highest number of deposits by an individual author. Well done to Mohammad Alam who is the winner of the iPad Mini. 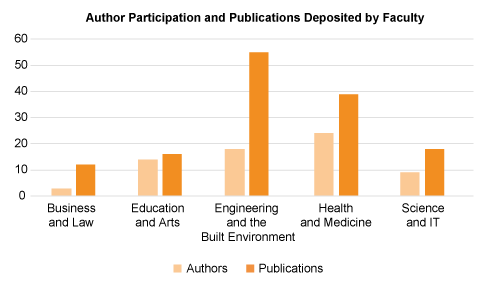 The Faculty of Engineering and Built Environment deposited the highest number of OA publications of the faculties and the Faculty of Health and Medicine had the highest number of authors deposit OA publications. 2016 also saw the highest engagement by UON postgraduate authors. Contact the Library to find out more about Open Access and NOVA.